Jeff Gordon is in his last full season as a NASCAR driver. Jeff started his Winston Cup career in 1992. Before this season he announced this would be his last season to compete for a championship. He is not officially retiring from racing so it will be interesting to see what the future holds. 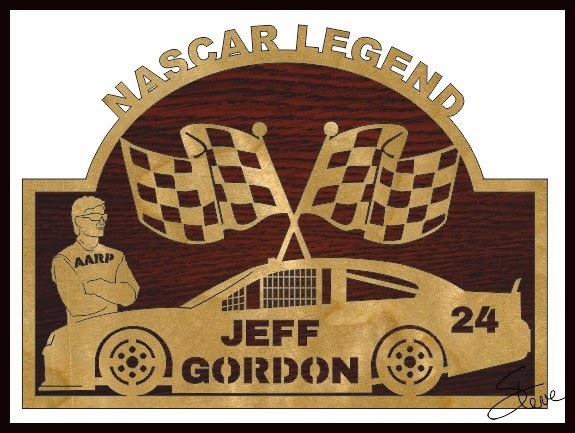 Jeff is considered to be one of the best drivers of all time and is absolutely a NASCAR Legend. I have mentioned before that my wife has been a big NASCAR and Jeff Gordon fan for years. Her family has a history in racing as her uncle was a NASCAR driver back in the 50's and 60's. She watches every race and has for as long as I can remember. She is going to miss cheering for Gordon next season. 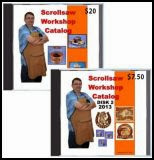 This tribute scroll saw pattern to Jeff has a few difficult sections to cut. Some of the veining in Jeff's figure is very tight. If you use the RapidResizer utility on my blog you can enlarge the pattern which will make it easier to cut. If you cut it at the designed size you will need to use a small blade for the veining in Jeff's face. 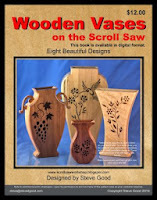 I have not test cut this pattern so use caution and plan your cuts before you begin.